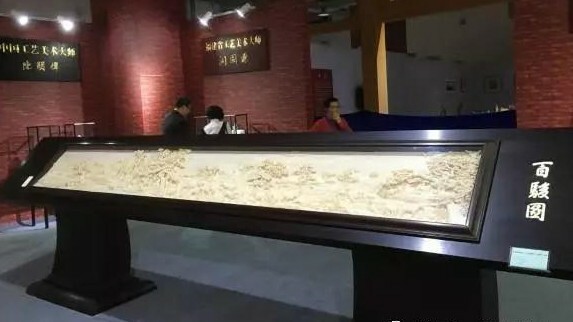 World Record Title: The One Hundred Horses created by Mr. Song Chunguo et al. 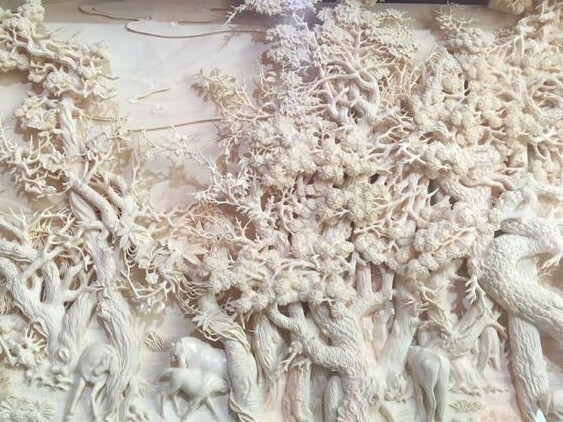 from Putian Meiyi Industrial Co., Ltd. is the largest ivory sculpture in area in the world. 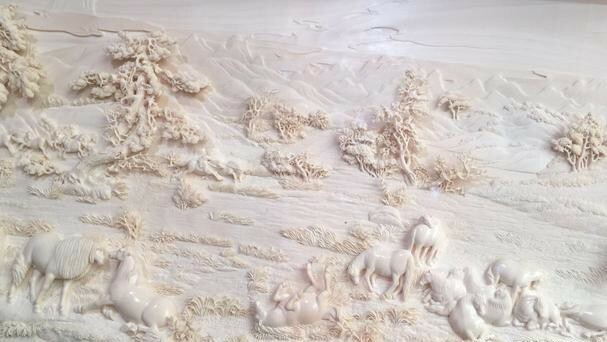 World Record Creator: The One Hundred Horses created by Mr. Song Chunguo et al. 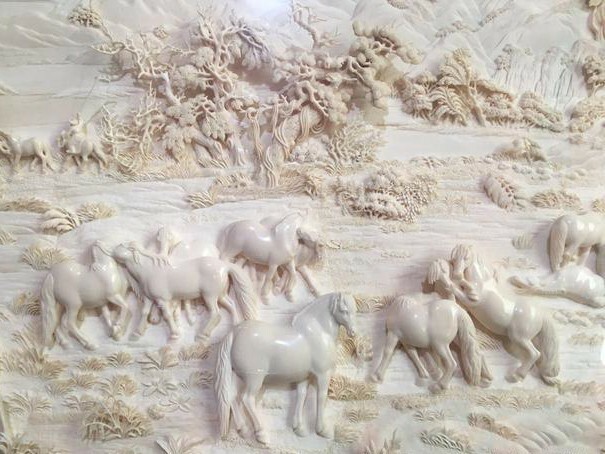 from Putian Meiyi Industrial Co., Ltd.
World Record Holder: The One Hundred Horses created by Mr. Song Chunguo et al. 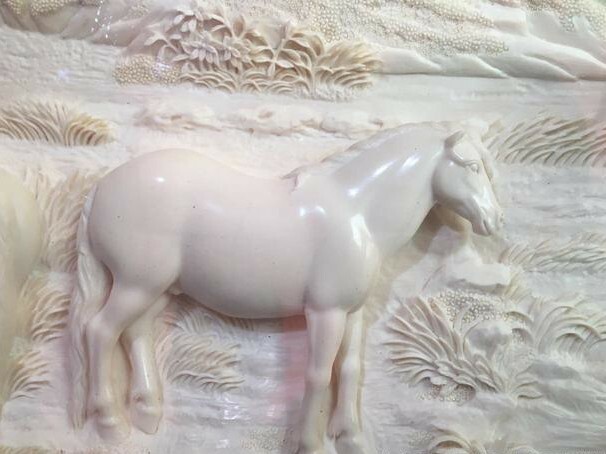 from Putian Meiyi Industrial Co., Ltd.
World Record Field: ivory sculpture. 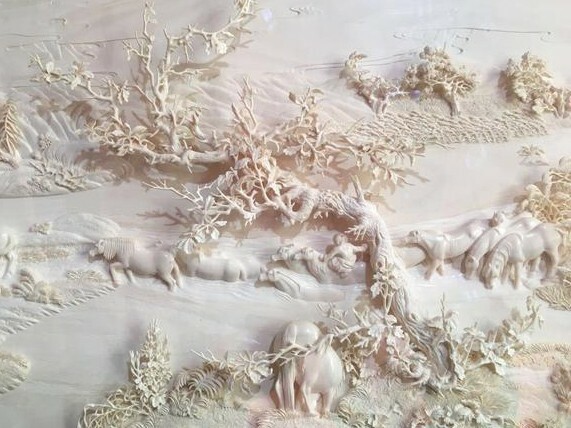 World Record Rules: 1.the largest ivory sculpture in area in the world. World Record Value: Area of 1.62 square meters. World Record Validity Period: Until the world record is broken. 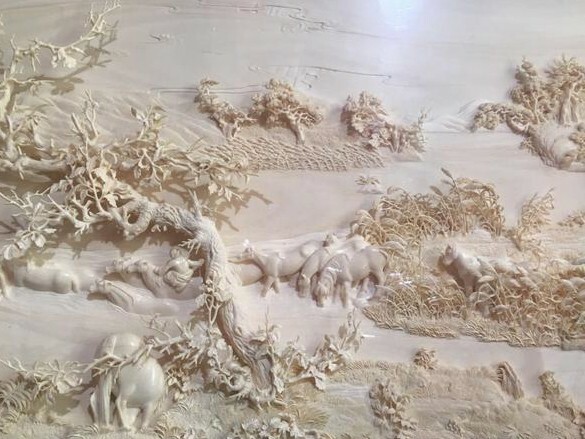 The One Hundred Horses created by Mr. Song Chunguo et al. 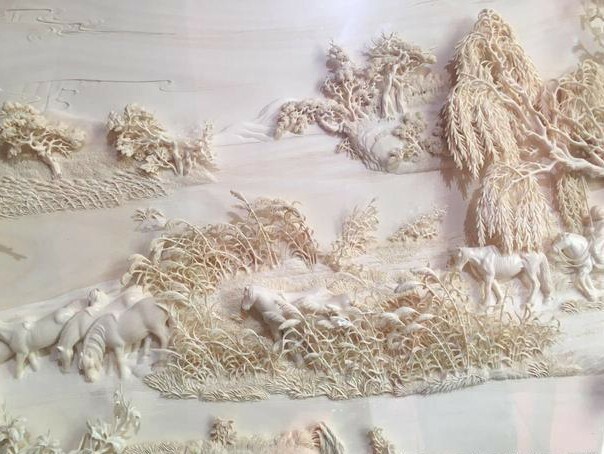 from Putian Meiyi Industrial Co., Ltd. is the largest ivory sculpture in area in the world. Verified on 24 November 2017.